Translators are admin users who are responsible for translating PHPKB front-end into your custom language. This user level is only available in multi-language versions of PHPKB software. 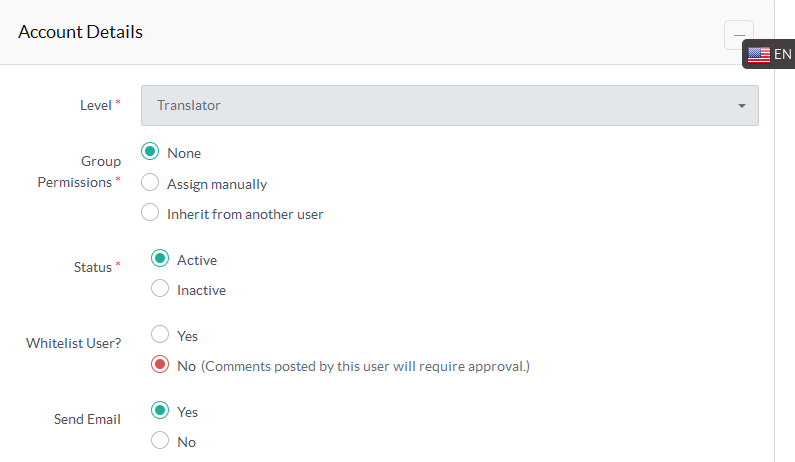 Translators are not allowed to access any other sections in the admin area and can only translate the contents of language file(s) assigned to him. Follow the steps given below to create the translator account. Fill in details of the user in given fields as shown in the above screenshot. Please note that you can select a language from language drop-down available on the right side to add translator under selected language. Select Level as ’Translator’ in Account Details section. 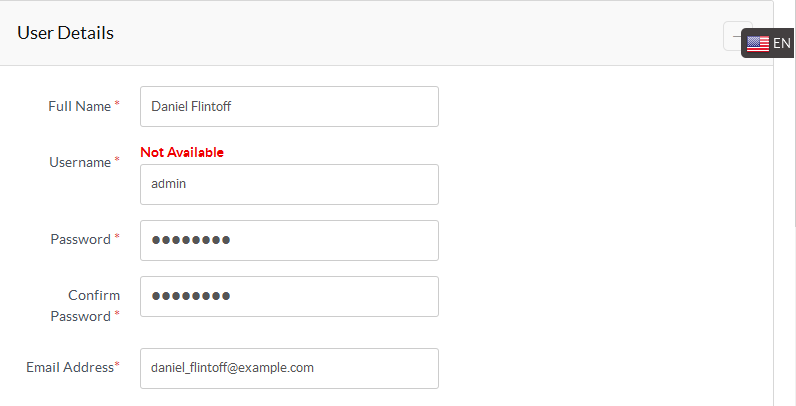 Refer Creating User Account article for more details of other fields. Click "Save User" button to save translator account into the knowledge base.